Medium: Acrylic painting on watercolor paper. 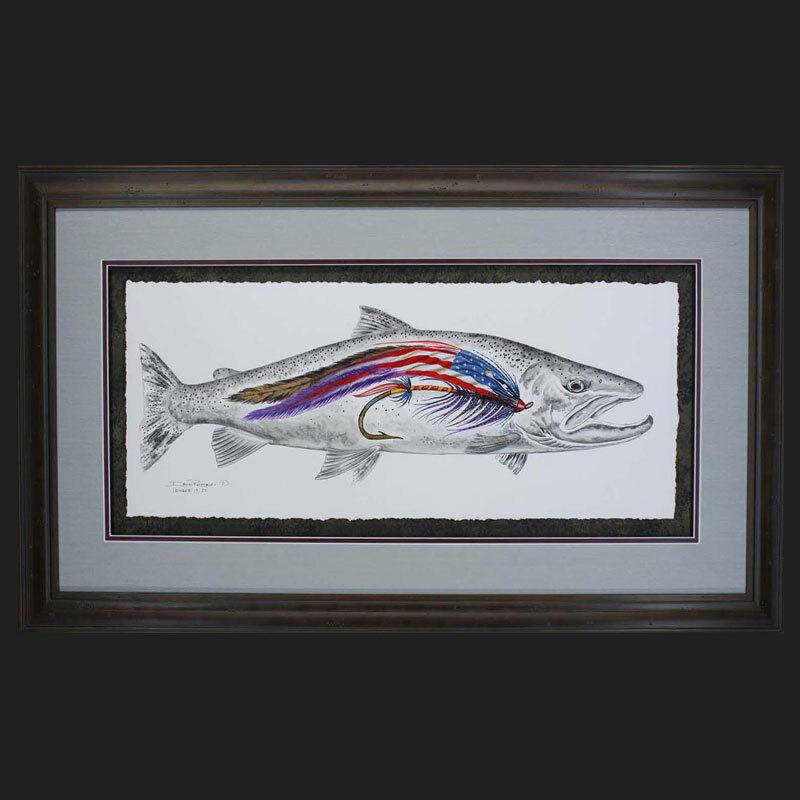 Would you like your favorite fly recreated as a painting with a fish species in the background? I can make that happen in all different sizes! 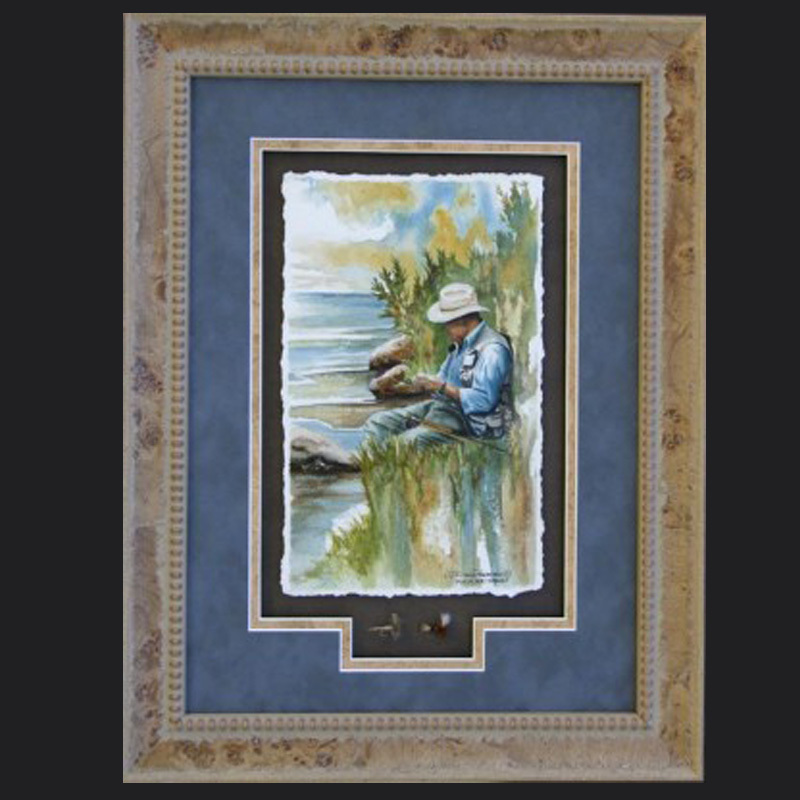 A small original acrylic painting on 300 lb watercolor paper framed with the torn edge showing in a shadow box style. 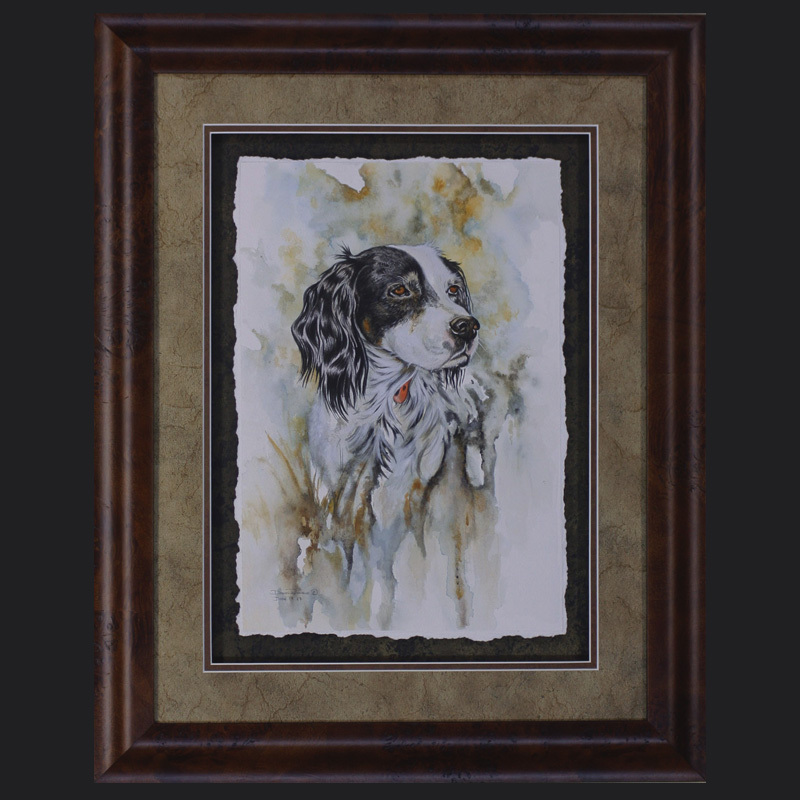 Framed in a burl wood. 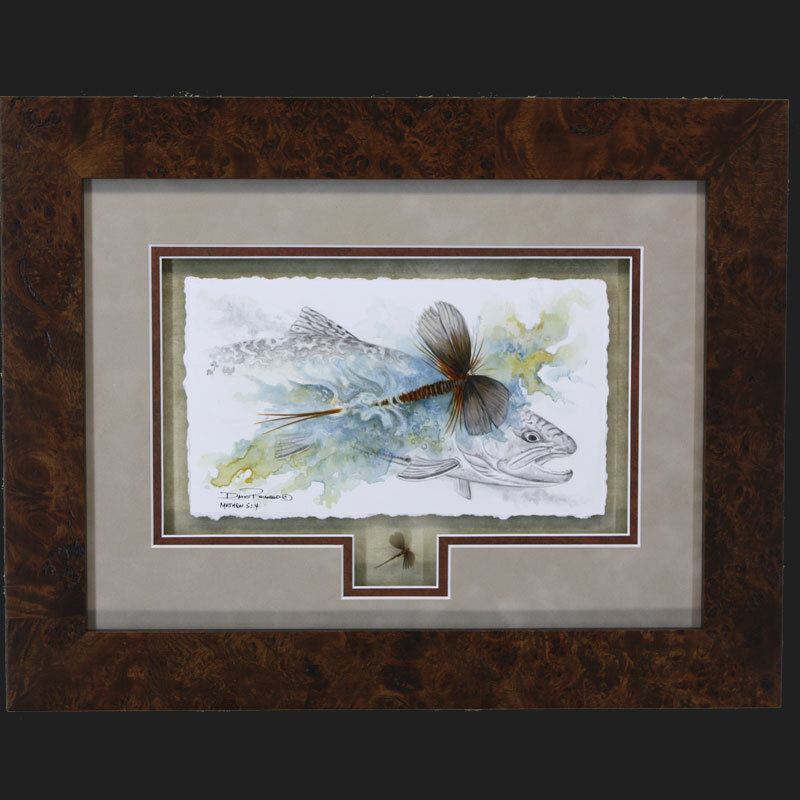 This small original features mayfly in full color with a Brook Trout softly painted with black washes in the background. 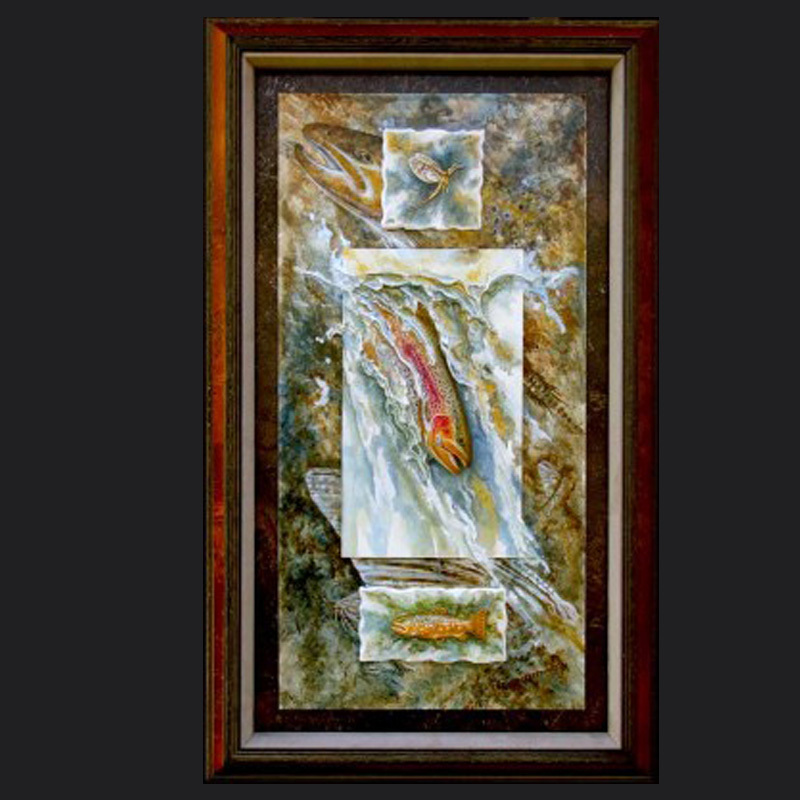 The fly painted in this original is also mounted below in a shadow box. There are no reproductions of this original painting.